History - Southwood Ventures Inc.
Southwood Ventures Inc. is a second generation business. 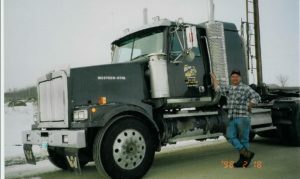 It was founded by Ken & Verna Wiens formerly under the name of Ken-Ver Backhoe. 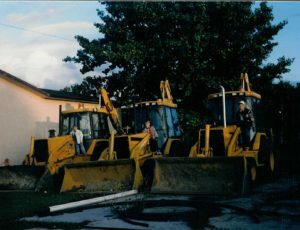 In September of 2005, sons Kassidy and Kevin joined Ken and Kurt at which time it was reborn as Southwood Ventures Inc.
Hard work and not being afraid to get dirty has been the foundation of our family business. 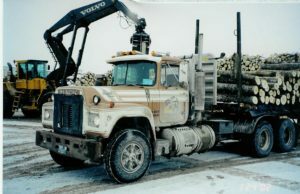 From those early beginnings, our business evolved from backhoe service and gravel hauling to large sewer/water and lagoon projects, with large road projects in the mix throughout the summer months. 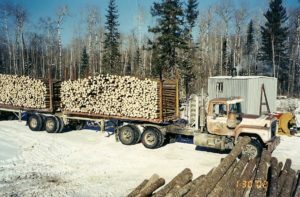 A forestry industry has been another passion for Ken therefore we harvest wood during the winter months in order to utilize our equipment and men.